Optimism is key for a better future. The University of Copenhagen will keep generating new knowledge in order to gain a deeper understanding of the complex interplay between the climate, our society and the environment in which we live. “Students are one of the biggest resources at the University of Copenhagen. Educating the next generation is the University’s greatest responsibility,” says Rector Henrik C. Wegener. 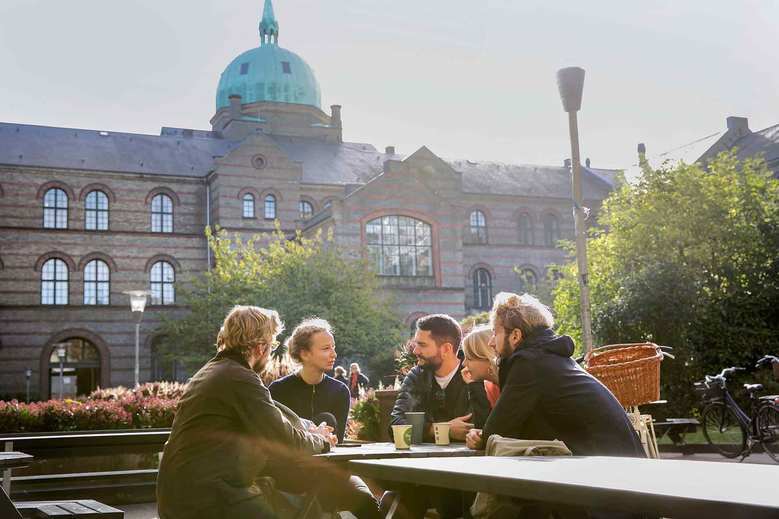 Spanning six different faculties and over 200 degree programmes, the University of Copenhagen is the largest educational institution in Denmark, and a powerhouse for sustainability research. Danish-led climate studies have been taking place on the Greenland icecap since 1955, and today the changing climate is recognised as a proxy for the even larger challenges facing society. Agenda 2030 is characterised by the recognition that the Earth’s resources, upon which we are dependent, are limited. “The SDG framework can be seen as a vision for how we want to share those resources,” Professor Katherine Richardson explains. As a knowledge institution, the University of Copenhagen is inspired by problems, and believes that the products of research can be part of the solution to these challenges. “All faculties at the University of Copenhagen are doing research relevant to the Sustainable Development Goals (SDGs), and all departments have something to contribute,” says Professor Richardson. To solve complex problems, the University of Copenhagen is encouraging both researchers and students to work across different disciplines. To facilitate communication between academic pillars, the University has established a Sustainability Science Centre, which cuts across faculties and departments, coordinating activities and research from all reaches of academia. The University hosts many researchers and students from abroad, making it an international knowledge institution. Students and researchers engage in issues within Denmark as well as overseas. In the course Existential Risks and the Law, students draft policy briefs for different Danish ministries focusing on the societal challenges faced by humanity today. At the Department of Food and Resource Economics, researchers have developed a smartphone app to help reduce deforestation through community-based monitoring in different parts of Asia. The University is also engaged in outreach activities through Sustainability Lectures with international experts, involving the public in sustainability debates and encouraging entrepreneurial solutions in student-oriented innovation hubs. Students are guided towards sustainability studies through a mapping of courses offered relating to different SDGs. Students can also take entire programmes related to climate change, natural resource management and the environment. Harnessing students’ energy, creativity and willpower is driving innovation at the University every day.